My big boy is turning six on Saturday-the day after school gets out for the summer! There's too much craziness going on that weekend, so we decided to have his birthday the weekend before. Saturday we were at Soccer Fest all day in the hot, hot sun, but Sunday turned out to be a beautiful day-not too hot, not too cold. And the rain that was predicted as a possibility never materialized. When I originally asked Henry what kind of birthday he wanted, he told me Iron Man. I wasn't too sure how to do that, so I waited a few days and asked him again. 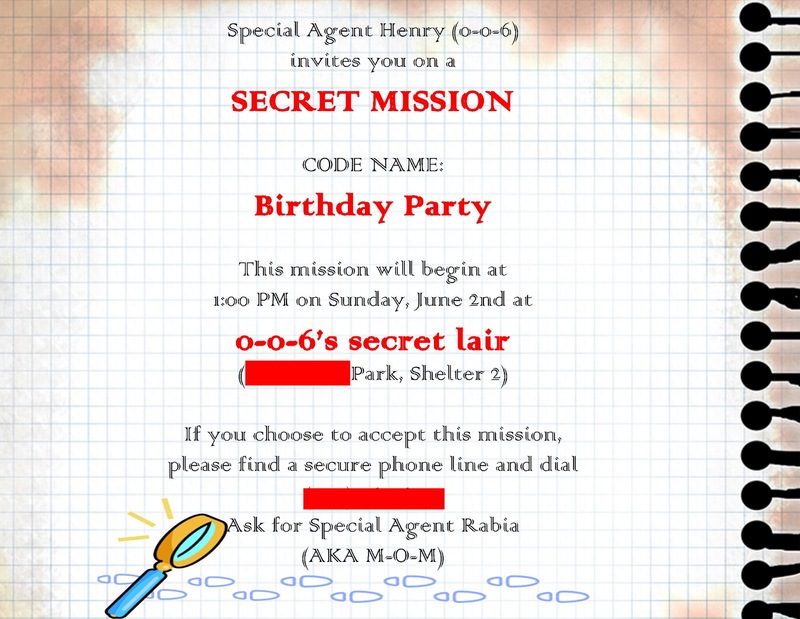 This time he said he wanted a "Spy birthday." That sounded more do-able, so I went with that. Is that cheating?? Sue me! We also decided to have his party at the park instead of our house. My house is a mess (as usual) and not big enough for the crowd we invited. Henry's party was much better attended than Benjamin's so I'm glad we opted for the park. We had my mom and dad, my brothers, my brother's wife, Ken's dad, brother and neice, Henry's godmother Julie and her kiddos, Henry's "big friend" Michael and his parents, and our friend Stacey and her kids. The invitation was folded brochure style with the warnings on the outside and the party info on the inside. 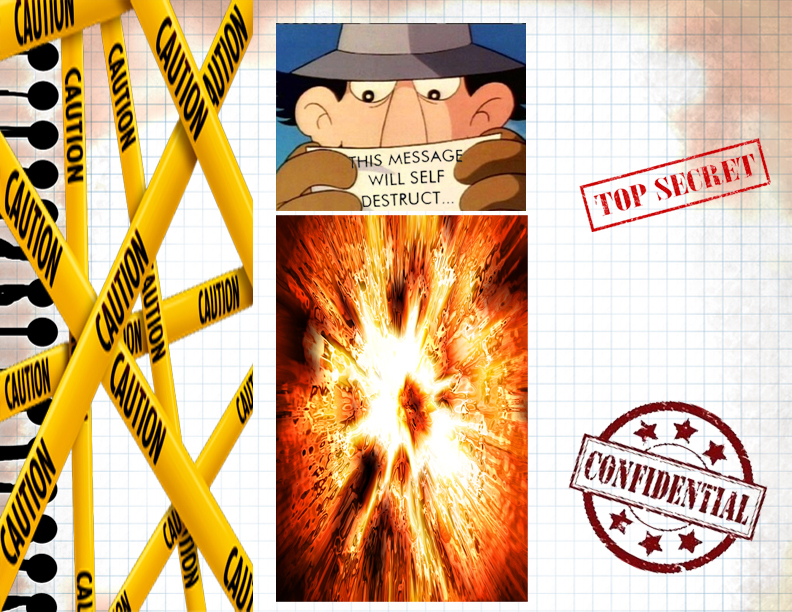 I included a shout-out to Inspector Gadget for the parents, too! To continue the spy theme, I made "spy kits" for the kids. Each backpack included a wig (for the girls) or a vest (for the boys), magnifying glasses, notepad and pen, fake teeth, moustache stickers, and a squirt gun. 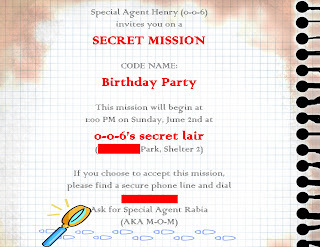 Then I gave each kid a Secret Agent name by using their initials and age. The were a hit-especially the water guns! Henry's cake gave me a little bit of trouble because I wasn't sure what a "spy cake" would look like. In the end I went with a magnifying glass and fingerprint made from two round cakes and a sheet cake cut in thirds and stacked on top of each other. Henry also requested an orange flavored cake. I have never had orange cake before, but it was really good. A nice refreshing taste for a sunny day! He didn't get to blow out any candles because it was too windy, but we all sang to him and cheered when he blew out Uncle Alan's lighter. And this is just a guess (based on the pictures he took for me), but I think Uncle Alan enjoyed the magnifying glasses the most! Happy soon to be 6th Birthday. What great ideas and party favors. I need to be more creative, I just let Stew Leonard's handle it all for me, LOL. Wow that sounded awesome might need to pick that brain of your for Roberts next birthday. What a super birthday! Are you going to show us how to make the cake? 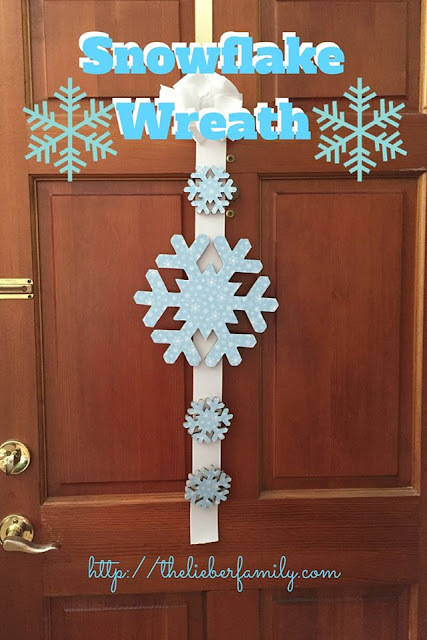 I would love to do something like this for one of my grandkids. Such an awesome party! The cake is amazing. So creative. That was an amazing invitation!! And cool cake! My husband always used to make the theme cakes, because I can't do anything like that! Such a cute theme! And you really ran with it...so creative. That party looks so cool! Happy birthday Henry! I love the spy kits you made for the kids and the cake! That's so creative! And parks are the best place to throw parties! Wow! You're a better mom than I am, Gunga Din! It's a logical progression, I guess. My mother said that she didn't get any birthday parties until she was a grown-up. She threw birthday parties for us that had cake, ice cream, and some games, attended by a number of children equal to our ages. We threw our kids parties at Chuck E. Cheese or somewhere like that, attended by everybody in the class who could come. Our grandchildren will doubtless have much better parties, once they attain school age. FWIW, our parties are only attended by family (which I have defined as blood relatives and friends we have adopted into our family). I did a friend party for Frances back when she was an only child and I had won a gift certificate for the cost of the party. We did another one when she turned seven. Typically I don't invite the kids' friends to birthday parties.